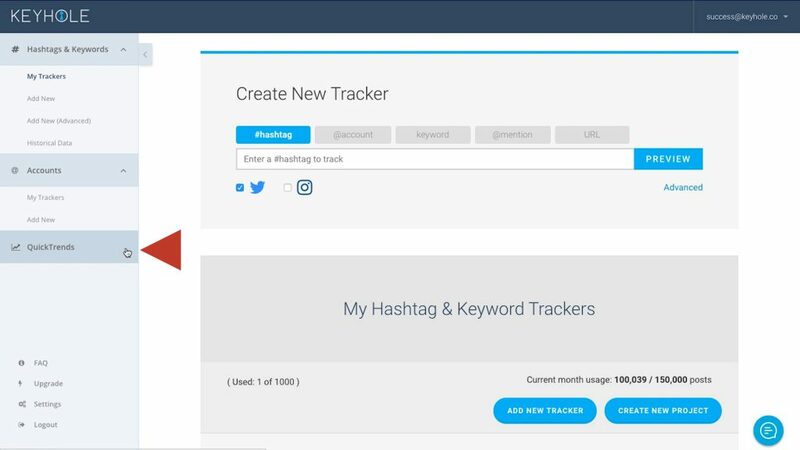 Use this tool to get instant Twitter insights of hashtags, keywords, and phrases. 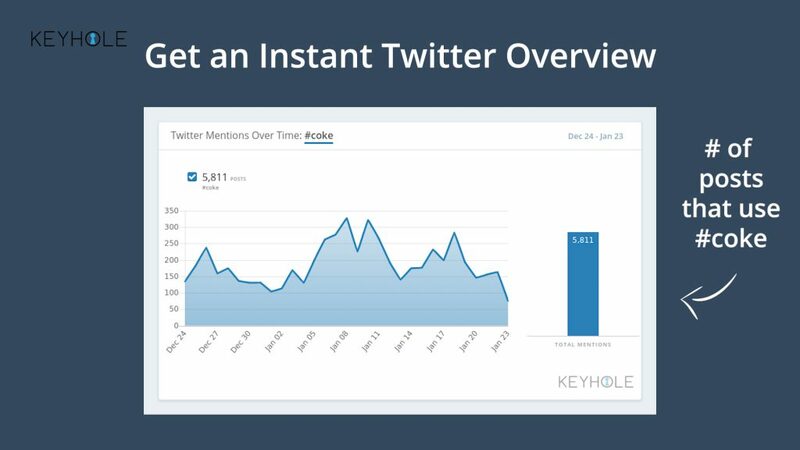 It will show you the number of conversations happening on Twitter within any given timeframe. 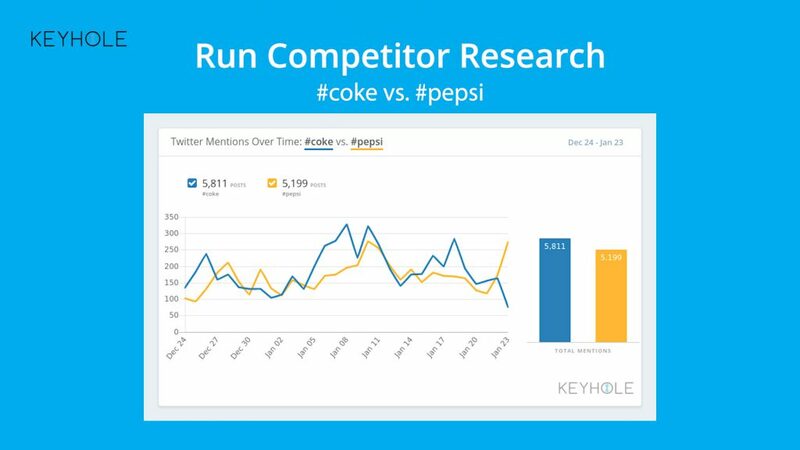 Run high-level competitor research. 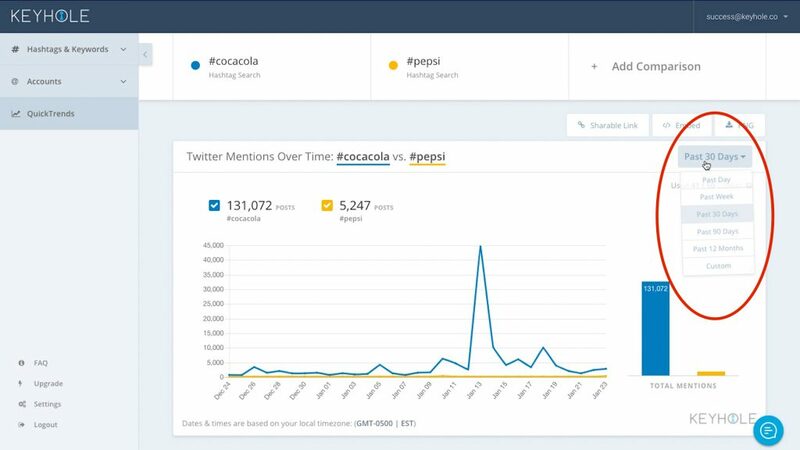 Here, we compare #coke with #pepsi to see how many conversations are happening around each. 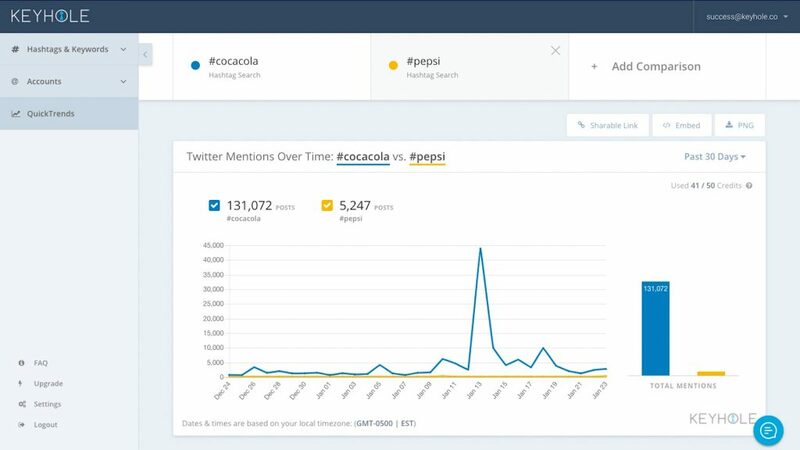 See how you stack up against competitors on social! Market research. 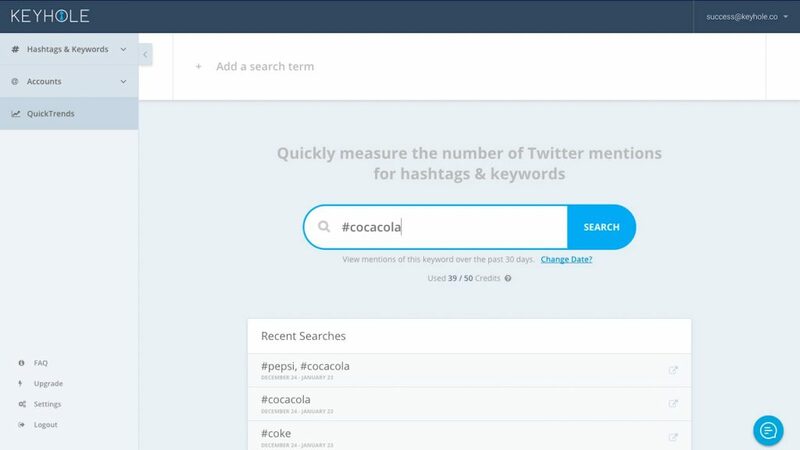 Search any terms to see which is most mentioned on Twitter. 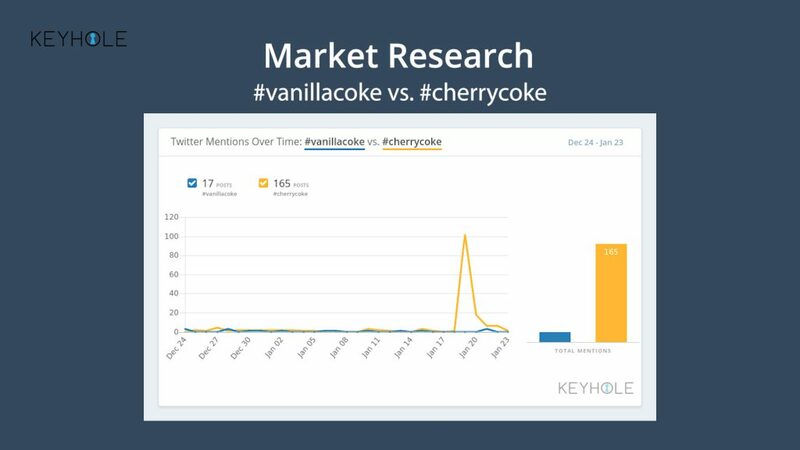 Here, we compare Vanilla Coke to Cherry Coke to see which one is most discussed- as you can see Cherry Coke is winning by a lot! Find out what’s most popular on Twitter. Coke or Coca-Cola? Audi or BMW? Donald or Hilary? 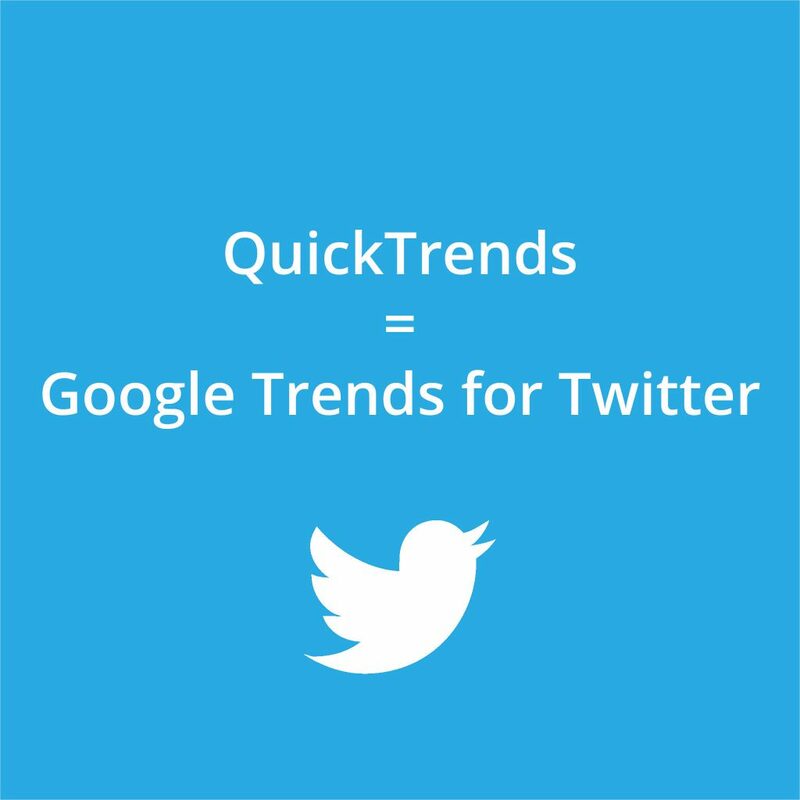 You can use QuickTrends by accessing the left-hand navigation bar on your dashboard. 2. 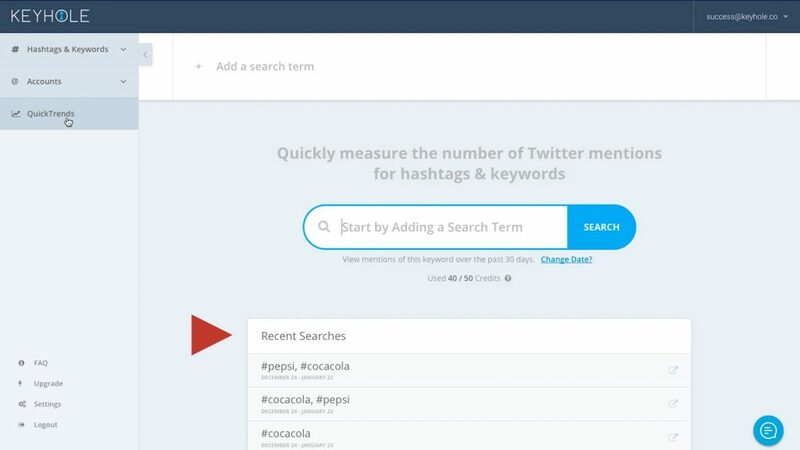 Enter the hashtag, keyword or phrase you’d like to search. 3. 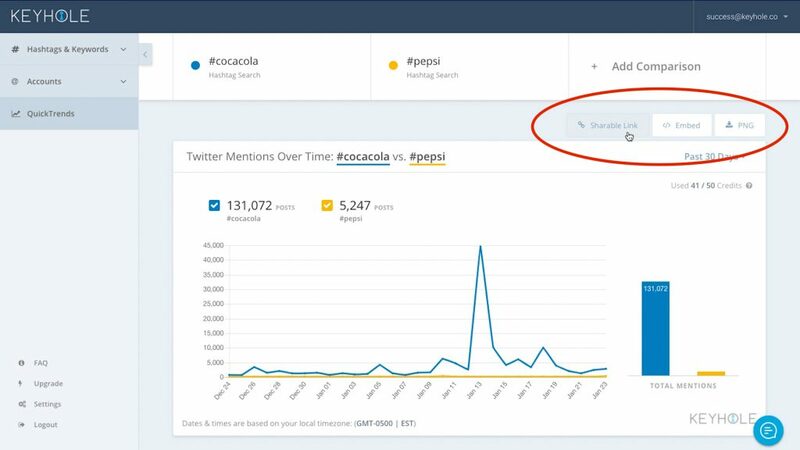 Add multiple search terms to do competitor research, market research, or to understand how the popularity and usage of two or more terms compare on Twitter. 4. You can change the time frame you are looking at, even going back several years. 5. As always, customers can also share, embed or download the chart. 6. All data will be saved under Recent Searches so you can access it anytime! We hope you enjoy it. Let us know what you think!